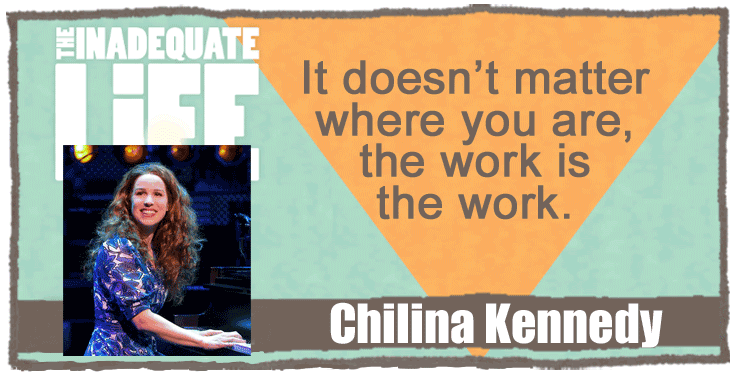 It was just announced that Chilina Kennedy will return to Broadway, January 3, 2019, to once again star in “Beautiful: The Carole King Musical.” I spoke to Kennedy in 2016. Kennedy has a young son and we discuss the challenges of being a parent on Broadway. the break-up of a relationship. We discuss how Kennedy found the strength to write about these deeply personal moments in her life and the musicians Kennedy chose to work with, some of whom she met while performing at the Stratford Festival, including the Festival’s former Director of Music Rick Fox and percussionist Graham Hargrove. Tickets, videos and more at the official “Beautiful: The Carole King Musical” website. Reviews of Chilina’s appearance in “West Side Story” that Toronto Star theatre critic Richard Ouzounian selected as his favorite musical during his 15 year career as theatre critic. This podcast was posted on March 13, 2016 .